Composed of Julie Rens and Sasha Vovk, Juicy is a female power duo from Belgium that delivers nostalgia-infused futuristic R&B. Starting their career in 2016 playing parties in Brussels, they’ve built a name for themselves throughout Europe. Attracting loyal fans in major cities like Paris, Juicy’s hype is infiltrating ultra-hip dancefloors. With 2018’s Cast a Spell EP, mixed by Pierre Bertrand (Roméo Elvis and Le Motel), Juicy is among Belgium’s top rising stars in the R&B/hip hop world. 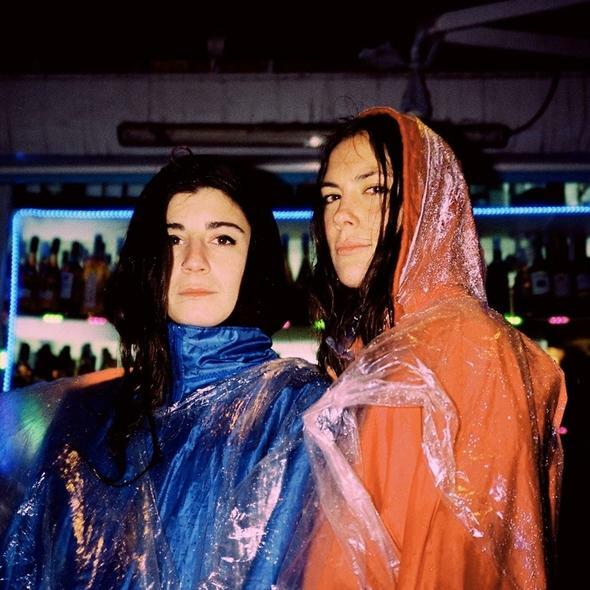 As a busy year for Juicy, the duo also released single “GHB” in 2018. Keeping up the pace on YouTube, they’re able to remain relevant to audiences everywhere. Never missing a beat, they’re always working on more material. 2019’s Crumbs EP highlights and narrates the history of 5 fictional characters. Using storytelling as a powerful tool, Julie and Sasha combat controversial social struggles. Allowing their music to remain fun, Juicy presents such deep topics alongside danceable 90s R&B grooves. Tackling current issues is nothing new for Juicy. With single “Mouldy Beauty” off the Cast a Spell EP, they focused on female empowerment and, incorporating visual effects in the accompanying video, Juicy worked to promote body positivity. Similarly “Cast a Spell”, the last track on the EP, focuses on the amount of oppression women face in their daily lives. Their level of perception, intelligence, and ability to command stages through high-energy dance performances makes Juicy a tough act to beat. As the world pushes for more female representation, their timing is perfect for educating the masses.